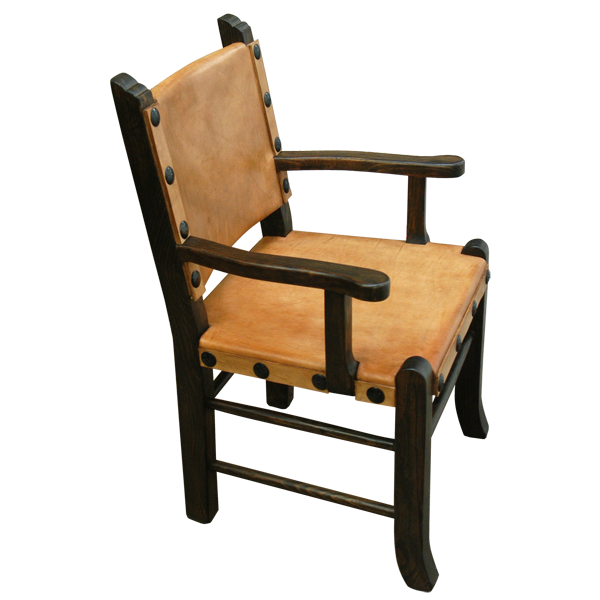 With its graceful design this Spanish colonial style chair will be a wonderful compliment to any space. 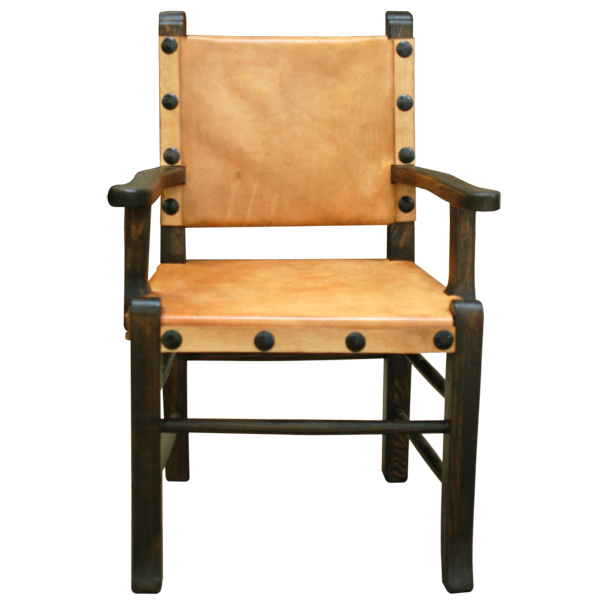 The seat and the seat back are upholstered in soft, brown, stained cowhide, and the upholstery is hand tacked with precision to the entire wood frame. The armrest are elegantly designed and beautifully finished. 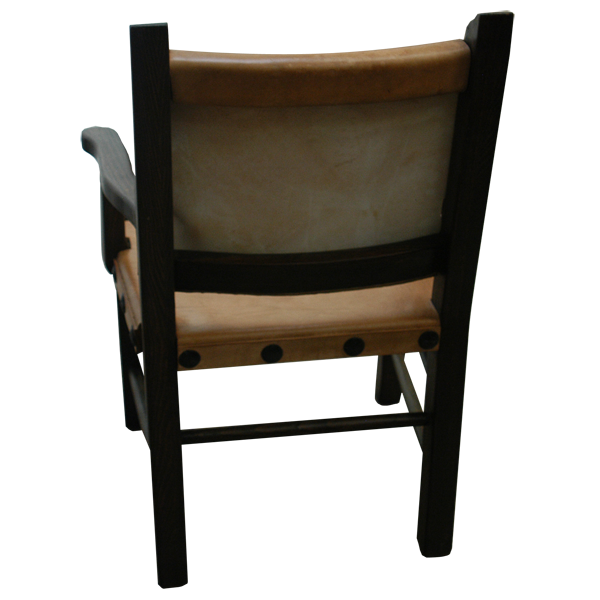 Reflecting its Spanish colonial heritage, the sides of the chair and the sides of the inside seat back are decorated with hand forged iron conchos. The chair is supported by slightly curved front legs and straight back legs. The solid wood legs are joined by a double crossbar on the sides and a single crossbar in the front. 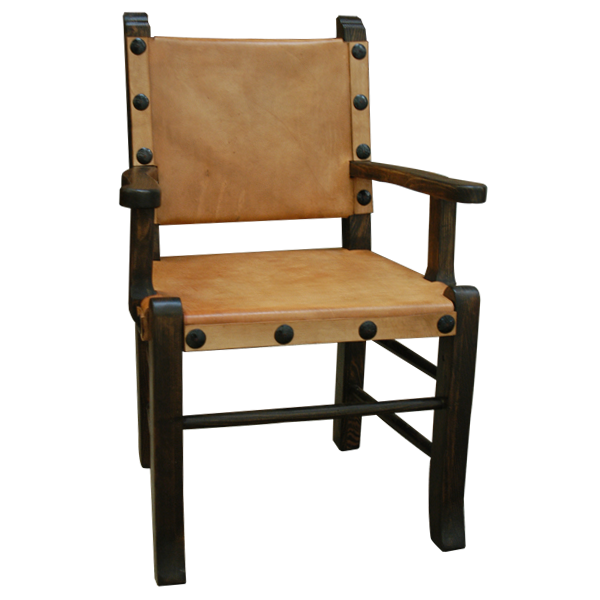 Made with solid Pinero wood, the chair is durable and comfortable. It is 100% customizable.